This is a pretty crazy inflation statistic! 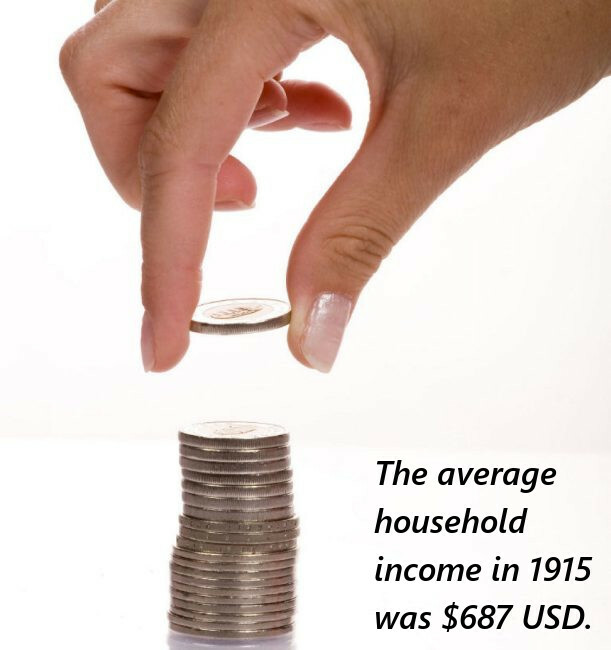 The average household income in 1915 in the United States was $687 USD. Since this is the household income, the average working adult would be roughly half that. Accounting for inflation, that is equivalent to just over $16,000 in today's (2016) currency. Nonetheless, it is hard to believe that 100 years ago that people were dealing with only very small amounts of cash, whereas today $687 is not even enough for a decent TV.